The Course is designed to help residents and practicing ophthalmologists in gaining reasonable understanding of diagnosis of primary open angle glaucoma and its management. At the end of this course participants will be able to get an insight into systematic approach to diagnose glaucoma. Primary Open Angle Glaucoma is a progressive, chronic optic neuropathy associated with loss of retinal ganglion cells with specific pattern of disc damage and characteristic visual field loss. Elevated Intraocular pressure is an important risk factor and is the only known modifiable risk factor. Glaucoma is the second leading cause of irreversible vision loss world wide. It has been estimated that by 2020 there will be approximately 80 million people with glaucoma, an increase of about 20 million since 2010. Furthermore, it is thought that at present over 8 million people are bilaterally blind due to glaucoma, a figure that is set to rise to over 11 million by 2020 with the increasing prevalence, unless improved screening and effective treatment strategies are successful. The problem with glaucoma is two fold. Most forms of glaucoma are bilateral, but asymptomatic in their early stages, hence decreased awareness and patients reach the doctors only when the disease is advanced. About 50% of all glaucoma cases are undiagnosed in developed countries, this figure being as high as 90% in the developing parts of the world. The second problem is that the diagnosis is not simple using one or two parameters. Diagnosis of glaucoma is based on intraocular pressure measurement, gonioscopy, disc assessment and visual field testing. However, unbiased collection of each clinical findings and interpretation of all the test results in correspondence to each other while keeping in view the limitations and pitfalls plays a crucial role in appropriate diagnosis and management. Further, many classes of pharmacological agents are used in the management of this disorder both as single agent as well as combined therapy. Most potent agent is not always the best agent. Therefore, a good understanding of nuances in using these agents is essential in preventing vision loss in this disease. While majority of glaucomas are treated medically, when medications do not help surgical treatment helps to control the intraocular pressure. Hence understanding of when to move on to surgery is important. Dr. Ronnie George completed his medical graduate degree from St. John's Medical College, Bangaluru and trained in ophthalmology at the Christian Medical College, Vellore. He is the Deputy Director in the glaucoma services at Medical Research Foundation and Research Director of the organization. He currently serves on the Education Committee of the World Glaucoma Association , the Editorial board of the Journal of Glaucoma and is the Section editor (Glaucoma) for the Indian Journal of Ophthalmology. Dr. Nikhil Choudhari completed his DNB (Ophthalmology) from Sankara Nethralaya, Chennai, followed by a long-term fellowship in glaucoma from LVPEI, Hyderabad. He was a Glaucoma and Neuro-ophthalmology consultant at Sankara Nethralaya, Chennai from 2006 to 2010. He was a co-investigator of a couple of population-based glaucoma studies. He is a co-author of Sankara Nethralaya’s Atlas of Neuro-ophthalmology. Currently he is a consultant at LVPEI and takes care of patients with disorders of the optic nerve, including glaucoma. Dr. Sirisha Senthil completed her medical education from Rajah Muthiah Medical College, Annamalai University, followed by postgraduate training in Ophthalmology from Aravind Eye Hospital, Madurai, Tamil Nadu, securing a first rank in Ophthalmology and Otorhinolaryngology from the university (1993-1994). She did her FRCS in Ophthalmology from Edinburgh in 2000, followed by a fellowship in glaucoma at LVPEI. Currently she is the Head of VST center for Glaucoma care at LVPEI, Hyderabad. Dr. G Chandra Sekhar has been associated with LVPEI since its inception in 1987 and is currently the Vice-Chair, LVPEI and the Director of Kallam Anji Reddy Campus, Hyderabad. He holds the position of clinical Professor at the University of Rochester and has been a visiting professor at University of California, San Diego, USA. Dr. GC has served as the President of the Glaucoma Society of India (2005-06). 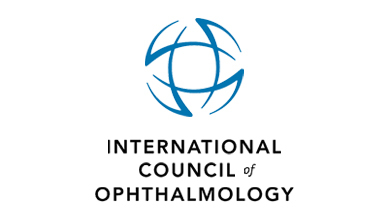 He has served on the Clinical Guidelines Committee of International Council of Ophthalmology (ICO) and the Membership Committee of Glaucoma Research Society. He is currently on the board of the World Glaucoma Association. Dr. Harsha Rao completed his residency from Bangalore Medical College, Bengaluru, India in 2005 followed by fellowships in Glaucoma from L V Prasad Eye Institute, Hyderabad, India and University of California, San Diego. He is currently a Glaucoma Consultant at Narayana Nethralaya, Bengaluru, India. His research interests include diagnostics and decision making in glaucoma. Dr. Sushmita Kaushik Graduated from University College of Medical Sciences, New Delhi, India and completed her post graduation from Guru Nanak Eye Centre, Maulana Azad Medical College, New Delhi. 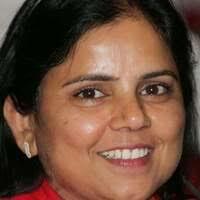 She was the Secretary of Glaucoma Society of India (2012 -2014). Currently she is a Professor of Ophthalmology at Postgraduate Institute of Medical Education & Research, Chandigarh, India. Professor Sir Peng-Tee-Khaw is a Fellow in paediatric glaucoma (1989-1994), concurrent with PhD in ocular wound healing and advanced therapies to prevent scarring. He is a Consultant Ophthalmic Surgeon at Moorfields Eye Hospital since 1993. He is also a Professor of Glaucoma and Ocular healing at University College London since 1997. Sir Peng Khaw’s interest areas are Glaucoma surgery techniques, new anti-scarring agents, stem cell therapy, tissue regeneration. Describe the pathophysiology of IOP. Evaluate the Glaucomatous Optic Disc. Know Why and How do we treat glaucoma. Describe the surgical management of POAG. Why and how do we treat? "A course that enables practitioners and students of glaucoma to obtain an overall perspective of the basics of the disease process and its management. An important aspect of the course is that the faculty have been drawn from the best in the country, who have ample experience in teaching and practical knowledge in managing the most refractory of glaucomas. This course on open angle glaucoma is invaluable to every student and ophthalmologist interested in providing evidence based care to persons with glaucoma." Director Human Resources, Aravind Eye Care System, Madurai. Comprehensive Ophthalmologists, Residents and Medical Students. The course is organized into 7 modules and includes additional on resources specific to each one. Registration for the course is always open and participants may begin the course at any time.